This chair is fit for a Queen! The Royal Swivel Leisure Chair is designed to provide a stylish and idyllic way to relax in your garden or outdoor space this summer. The seat can be rotated 360 degrees allowing you to move with the sun. 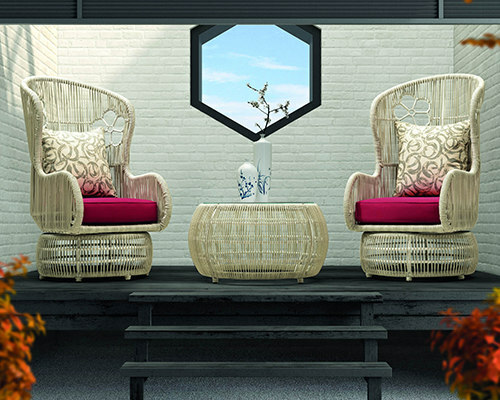 With resin wicker on aluminum frames this collection is both suitable for indoor and outdoor use, with Sunbrella ® cushions included. Product Dimension: W26"xD33"xH47" Shipping Dimension: W27"xD34xH48"